Loading... This page is dedicated to bringing you information and bonuses for all of the top real money online poker sites. All of the sites listed on this page allow players to play for real money, but so do most online poker sites. 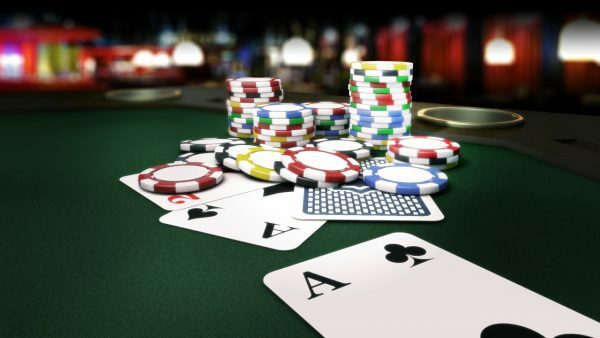 We have combed through all of the real money poker sites, and come up with what we believe to be the three best sites for playing real money poker online. All three of these sites have both a play money version and a real money version, but chances are you are interested in playing for real money if you are reading this page. So you’ve tried out some Facebook or Zynga poker and done pretty well. Or you’ve even played a bit online on the play-money tables at a real poker site like 888poker or PokerStars or Full Tilt Poker. What’s the difference with real thing? What’s the difference between that and the real-money poker tables? Just how good are most real-money players? How much are the average stakes? How little money can I actually play for? Most players looking to make the jump to real money online poker have a lot of questions. And diving in can seem like a daunting proposition. But it doesn’t have to be. And while play-money poker is definitely a different game than real-money poker, if you’ve done well in the free games you’ve likely got all the skills you need to do well in the real thing. In fact, you may even find more success as the unpredictability of play-money poker (since it’s not real money players don’t care about losing their chips and therefor make pretty ridiculous moves) becomes much more predictable – and much more exploitable – in real-money games. Absolutely everyone who starts out in play-money poker before moving on to real-money poker agrees the play money games are great for one thing: learning the basics. When there’s real money on the line, games get smoother. A few hours at the play tables are indispensable for getting a feel for the game – the order of play, how to make bets, adjusting to the pace of the action, how the controls work and more. If you’re hoping to learn effective real-money poker strategy in those game, though, you’re barking up the wrong tree. For the most part play-money players are ridiculously loose and careless – and why not? They have nothing to win and nothing to lose, so they freely make crazy bets and crazy calls. Once they run out of chips, they simply ask for more. And then go and waste them the same way. This just doesn’t happen in real-money poker – even at the 1¢/2¢ microstakes (although you will still find a few loose cannons numbers are drastically reduced). There are plenty of terrible players, sure. But they’re not hell bent on losing their chips as fast as they can. In fact, despite how small the games can be – and how little the financial risk – some players hold on to their chips for dear life. This means they’re absolutely 100% predictable at the tables. And virtual money in your pocket. Either way, there’s just no comparison. Real-money poker games are where the “real” action is. The strategy is more interesting, the players are more consistent and the games are even more beatable – if you know a bit about what you’re doing of course. You don’t have to waste a lot of money learning the ropes either. Most poker rooms – including all of the sites listed above – offer hundreds of low-limit options from 1¢/2¢ cash games to $1 single-table tournaments. Plenty of game action for pennies. The start up almost instantaneously in some form or another and you can find yourself in a seat literally minutes after you create your account. Even better these days most poker sites have moved to a recreational-player driven model where you’re protected from the more experienced players on the sites. You’ll play at beginner-stacked tables, have plenty of time to get adjusted to the game and don’t have to worry about getting in over your head too quickly. You can deposit money with Debit or Credit cards (VISA, MASTERCARD etc). The process is easy and you will be playing at the tables before you know it. In the future we might even have new deposit option added, like for example Bitcoin. As of today this is not a standard deposit option. Are real money online poker games legal? The answer for that, of course, depends on where you live. In most jurisdictions around the world, and especially across most of Europe, real-money poker online is regulated, licensed and consumer-protected by a multiple organizations including state governments and regional licensing authorities. if you’re playing for real money at any of the long-established poker sites like SpartanSlots, Planet7, NYC, etc etc you have nothing to be concerned about. 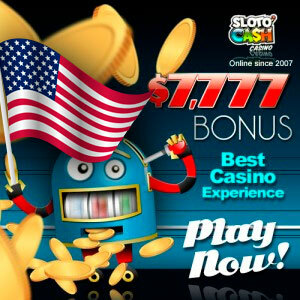 Real-money online poker is currently in a state of flux in the United States, however. Legislation is moving forward state-by-state with just Nevada, Delaware and New Jersey currently the only states where it is licensed and taxed like any other business. States like California, Pennsylvania and New York are close behind and it appears 2016 will be a breakthrough year for online poker legislation. And again, for most countries in the world, real-money online poker is a fully sanctioned, government and privately operated industry with all the proper regulation and protection you’d expect. Look through our real-money poker site reviews above and you’ll soon see your options are virtually limitless when it comes to the style of poker games you prefer. And the best part is you can quickly learn all you need to know to become a winning play for, at most, a few bucks a day. When you get the hang of it, winning will be all the sweeter. Check our poker strategy section for the basics you need to start making a small profit online and check our reviews for exclusive bonus codes and freeroll offers. Good luck – and enjoy the ride! 2.4 Are real money online poker games legal?